All I'm doing is placing a sword, and equipping the other sword, and try hitting the sword. 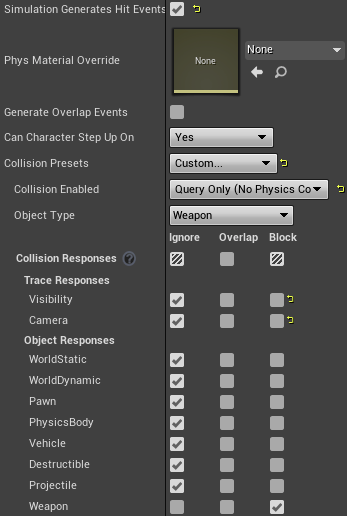 I have a "print string" node coming directly from the box collision's "On Component Hit", but nothing is being called. I've tried all "Collision Enabled" types and the same issue persists.